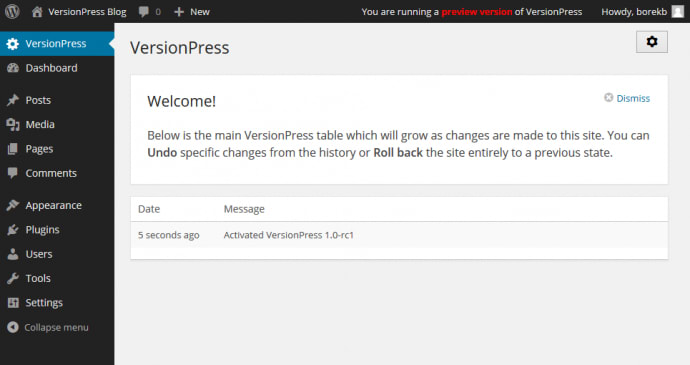 When we first started talking about VersionPress publicly we used a blog at wordpress.com. It served us well and we'll keep it running as an archive but going forward, we'll use this new blog at blog.versionpress.net to publish all the new content. Speaking of content, there will be much more of it. The past six months have been a quiet development period for us but that is largely over. With the first release just around the corner (more on that soon) we'll start blogging regularly. You can expect all the important announcements here as well as some background information, technical articles, etc. If you don't want to miss anything please subscribe to the RSS feed or via email using the box at the right. For smaller updates, you can also follow @versionpress on Twitter or like our Facebook page.